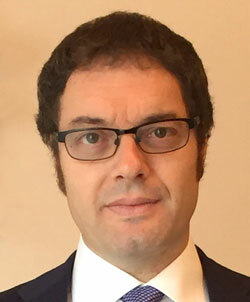 Corrado Scivoletto is a partner in the firm Studio Legale Associato Simonetti Persico Scivoletto. From 2003 to 2008 Mr Scivoletto was a partner at the firm Studio Legale Monaco E Associati and before that he practised at the firm Studio Legale Macchi de Cellere e Gangemi. He is fluent in French and English in addition to his native Italian and in 1999 practised as a visiting lawyer in the corporate and corporate financing departments of the law firm Slaughter and May, in its London and Paris offices. Mr Scivoletto specialises in employment and immigration law for corporate and individual clients. He is an active member of the International Bar Association’s Immigration Section and has spoken regularly at their conferences.